We do not collect personal information about you on the Site without your knowledge or action. Your information is collected through the membership registration form, e-mail newsletter registration and/or event registration forms. This information includes, but is not limited to, your name (first and last), company name, company address, phone number, fax number, e-mail address, and credit card information. You should be aware that if you disclose any information on a bulletin board or in a chat room or other open forum that is hosted by WTCA, others may collect that information to send you unsolicited information from outside WTCA, or for other purposes. We reserve the option to share your personal information with certain third parties. These can include financial institutions, service providers, contractors, or affiliate organizations. We automatically collect certain information on your use and/or actions on our website (e.g., user traffic patterns, page views on the website, click-through rates, and search terms). In addition, when a visitor arrives at our site, we collect the IP address, operating system, and browser software used. An IP address can tell us the user's Internet service provider and, based on that, can suggest the geographic location of the connection. As a general matter, non-personally identifiable information helps us determine how the WTCA website is being used, helps us identify popular areas of the website, and helps determine the effectiveness of our promotional activities regarding the website. We reserve the option to share your non-personal information with certain third parties. These can include financial institutions, service providers, contractors, or affiliate organizations. Use of "Cookies" or "Beacons"
Our website may use "cookies" or "beacons" (i.e., a small data file that our website writes to a user's hard drive) to help track your usage of our site, including what advertising you have seen, that enable the WTCA website to identify you when you visit. The Site contains links to other Internet websites, including co-branded or other affiliated sites. Unless otherwise explicitly stated, we are not responsible for the privacy practices or the content of such websites, including such sites' use of any information. Protecting your privacy and your information is a priority at WTCA. WTCA has taken reasonable measures to protect your personal information from loss, misuse and alteration. However, please be aware that no data transmission over the Internet nor any storage technology can be guaranteed to be 100% secure. 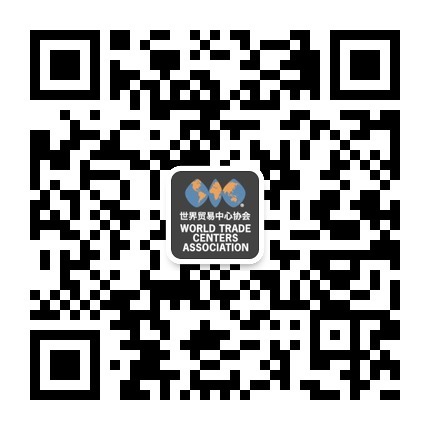 WTCA can only take steps to help reduce the risks of unauthorized access. When you send credit card information, we encrypt this information between your computer and our server. Other information you send to this website, including email messages, will not be encrypted unless we advise you otherwise. The Site is protected by a firewall. Each individual using the Internet can take steps to help protect his/ her personal information and further minimize the likelihood that a security incident may occur. You may be able to access certain information related to third parties at the Site, or via links, banner ads or click-through from the Site, regarding the goods or services of third parties. WTCA does not, in any way, control or operate such third party information. You understand and agree that your access to or use of those services is a matter entirely between you and the associated third parties, and WTCA shall have no liability whatsoever for any such access or use. The site is maintained in the United States of America. If you are located in the European Union, Canada or elsewhere outside of the United States, please be aware that any information you provide to us will be transferred to the United States the databases in which your personal information is stored shall be located in the United States which may not guarantee the same level of protection for personal information as the one in which you reside. By using the Site, participating in any of our services, and/or providing us with your information, you consent to this transfer.